“Fukushima disaster is totally out of control. This is a nuclear war without a war. to be held in Basel next September.I have attached below relevant excerpts. This article reminds us all the problems and confusions that have dishonorably characterized the Tokyo Olympic Games 2020.The editorial of the Asahi News Paper of June 2 criticized the lingering disorder concerning its preparations and even pointed out the surfacing feeling of repugnance among the Japanese. Fukushima had not yet been declared “under control”, its definition having not yet been agreed upon. Under such circumstances,it is no wonder that there is increasing support for honorable retreat from the 2020 Olympic Games in favor of consecrating maximum efforts to cope with the aggravating consequences of Fukushima accident. 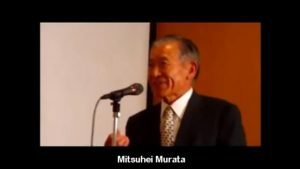 The Japanese should be informed of the crisis of power plant Unit #2 that could could trigger off an unimaginable nuclear disaster if an intensity 7 class earthquake should occur on the site, as warned repeatedly by Mr.Shuzo Takemoto, Professor Emeritus of Kyoto University. To be sure, when nuclear goes wrong, it really, really goes wrong. There is huge increase in the number of cancer patients along with death rate of cancer patients in the world. The Japanese Government teamed up with Toshiba to build robots that could help clean up the highly radioactive site of the Fukushima power plant meltdown. It turned out the robots couldn’t function in such high radiation levels: 600 Sievert per hour, which could kill a human being in about two minutes. Nuclear World must be willing to accept far-reaching IAEA surveillance on all their nuclear facilities, including unannounced inspections by IAEA authorities. By imposing similar requirements on all nations, we could eliminate the production of nuclear material altogether. Then, when nuclear weapons are dismantled and the primary nuclear explosive materials are made inaccessible, a nuclear-weapons, nuclear energy and uranium ammunition free world would be within our grasp.